I have some oldie-but-goodie layouts that I've never shared with you, so here they are today! This first layout was created for an Ella Publishing article based on a sketch by Donna Jannuzzi. I used my very first kit of all time, Studio Calico's Lawn Party kit from last May. This next layout was created with Lawn Party (again--sigh, I loved that kit!) and some fun Elle's Studio goodies! The photo is from years and years ago, and is with one of my best friends from growing up. 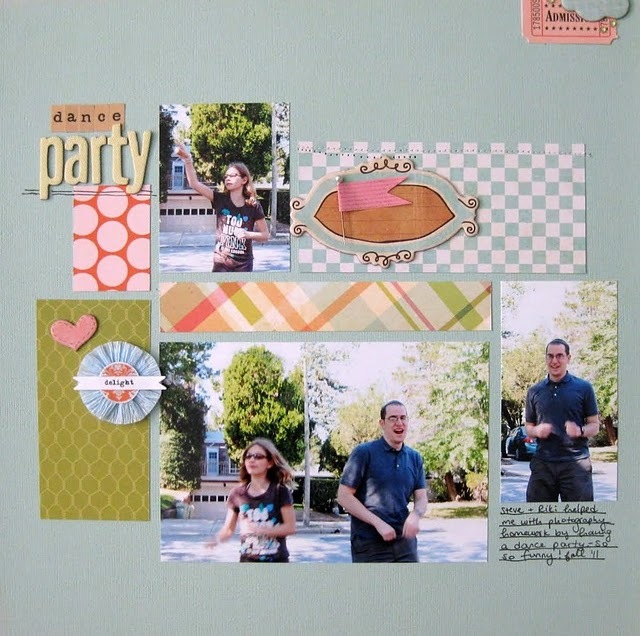 This last layout was published in Scrapbook Trends earlier this (or I guess last!) year. It was my first magazine assignment and thus very intimidating, but I'm pleased with how it came out! So tell me--what is YOUR favorite layout of yours lately? If you have it in a blog, link me up! I LOVE EVERYTHING U DO! Fun pages! 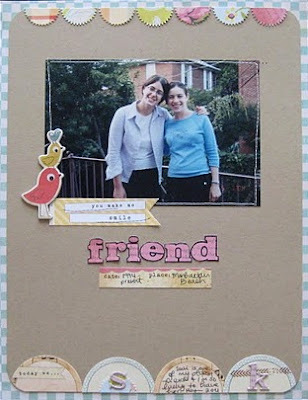 Love the circle border on the Friends page. I just started a new job, so scrapping time has been minimal, but the last page I made that I really liked is here. http://sarabenzkofer.blogspot.com/2011/12/is-for-awesome.html. Hopefully, I can get back to scrapping again soon! Here is the link - The layout is entitled Thankful for Snowday. Love all of these! I was so excited for you when I saw that last layout in the magazine! Such beautiful layouts Keshet! Lawn Party is my favorite too! I love your layouts! They are all beautiful! congrats on the pub! How fun!! Love seeing your work, it's always so inspiring. What fun layouts! Just love the half circles in the 2nd one!!! 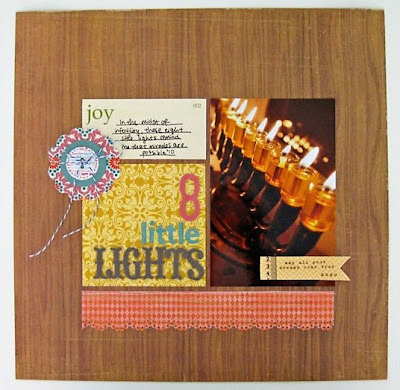 I just love your scrapping style! Clean, Classic and Colorful!